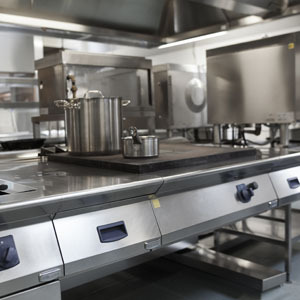 NRC are commercial kitchen deep cleaning experts and we know how to access and deal with difficult grease and grime in the most inaccessible of locations. 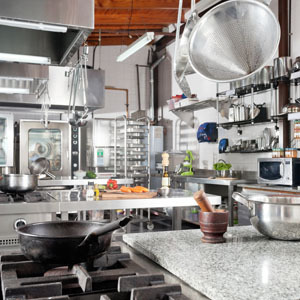 Commercial deep kitchen cleaning is not only desirable but helps to satisfy related legal requirements and will help you meet health and safety legislation, fire regulations and food safety standards too. 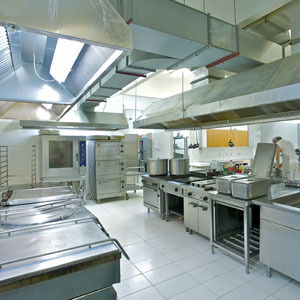 Duct cleaning is an essential addition to our kitchen deep cleaning services. Being hidden from view, grease and fat builds up and can quickly become a fire or health hazard. As this hazard is unseen it is easy to overlook just how urgent the duct cleaning requirement actually is. Equally important is frequent cleaning of the extractors and fans to ensure they continue to work efficiently. ‘Before and After’ photos will be taken for your records as proof that the cleaning has taken place and on completion we will Issue a Certificate Of Cleanliness. Many Insurance Companies now include clauses in their policies requiring evidence of fire risk assessments. These should include the grease extract ventilation system and that the system is cleaned by a professional contractor on an annual basis as a minimum requirement. 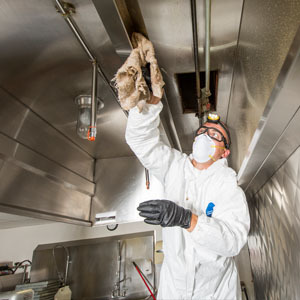 All extraction systems including flues, hoods, canopies, extraction motors, fans and the entire length of any ducting shall be cleaned at least once every twelve months by a professional contractor.